Where can I get that Anti-Canon Worry Drug that was given to Bill during this riff? I want to go see the new Star Trek movie again this weekend and that drug may help me enjoy it more. Here's what you gotta do with that mess: Do not associate when the Star Trek you know and love in any way, and you won't be let down. It's what I do. So why exactly did they decide to make a non-canon Dr. Who movie? Change what was interesting, and jetison what little parts had any credibility the TV series had built up. 1) Daleks were really, really popular at the time. The producers wanted to get in on that box-office gold quickly. It apparently worked well enough to fund a sequel movie. 2) The actual Doctor Who cast was busy filming the TV show, so they dropped canon to recast all the actors and change character details for first-time viewers. 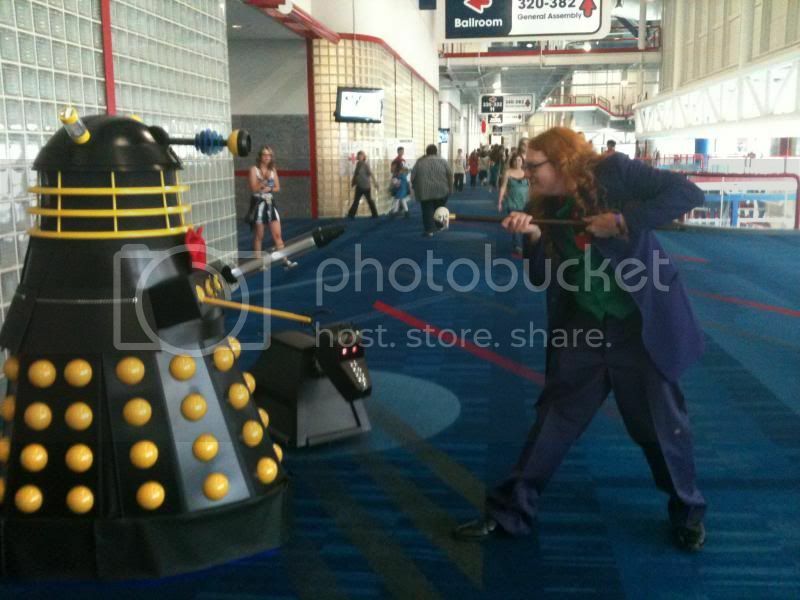 The Daleks were the main attraction, and those weren't changed too much from their canon form. Also, they could be filmed in colour! The TV show remained black and white for another five years or so. 3) And because this particular story was already told in canon form on TV. With a few things changed around and squished together, it's basically just a retelling of the 5th through 11th episodes of the first season. My understanding is that Dr. Who had some rights containment issues back in the day. I have a quick question about this one. Is Dr. Who and the Daleks in the public domain, or is it something Rifftrax (Legend Films) negotiated the rights on for a digital release? I guess I always assumed all of the VODs that the guys do were just public domain films where the rights had expired or something, but I know for certain that the Daleks, at the very least, are still owned by the estate of Terry Nation. The first few VODs were in public domain, but they have been paying for the rights to many of the more recent ones. Interesting... off topic but my image in my signature is no longer working.